Tony Bellew Vs Marco Huck - Who Would Win? Tony Bellew Vs Marco Huck – Who Would Win? Bellew isn’t the man at cruiserweight despite what he thinks..
Bellew seems to think Marco Huck is “Captain Birdseye” as opposed to his moniker of “Käpt’n”. Little ironic from Bellew who has the moniker of “Bomber”, and is always talking about his power. A stoppage record of 58% doesn’t show me or anyone else, a record for somebody with power or a title “Bomber”, to think otherwise is pure fantasy. I love the fact that Bellew is belittling Huck due to the Huck having the little known or lightly thought of IBO Title, whilst he has the more prestigious WBC Title. This is of course going to be the game plan of Bellew. His initial twitter attack has been designed by the matchroom team (Bellew wouldn’t think of it himself), to start to get himself into the thoughts of Marco Huck. By doing so he is using the bigger name of Huck to get his name into the spotlight. Whilst Bellew may have the WBC belt and be a star of a “Rocky” movie, having just fought a chump such as BJ Flores is hardly going to get him fans or make fans think him relevant. Huck gives him an outlet. 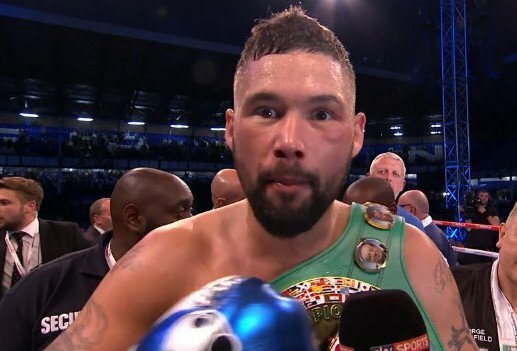 I once wrote an article on Bellew some years ago – http://murmuringsofaboxingmad-man.blogspot.co.uk/… – asking whether he was “Hype or Hope” and got some serious abuse, even a death threat, I kid you not! However my thoughts have not changed at all. Bellew is a great commentator, he is NOT a great fighter and he will be found out sooner or later, whether that is against Huck, Briedis, Usyk or even Lebedev, Mr Bellew will be found out. I wonder what 2017 will bring “Bomber Bellew”?? Previous boxing news: Can Andre Ward follow Roy Jones, James Toney up to heavyweight? Next boxing news: So, does Andre Ward deserve the top spot pound-for-pound? You are here: Home / Boxing News / Tony Bellew Vs Marco Huck – Who Would Win?